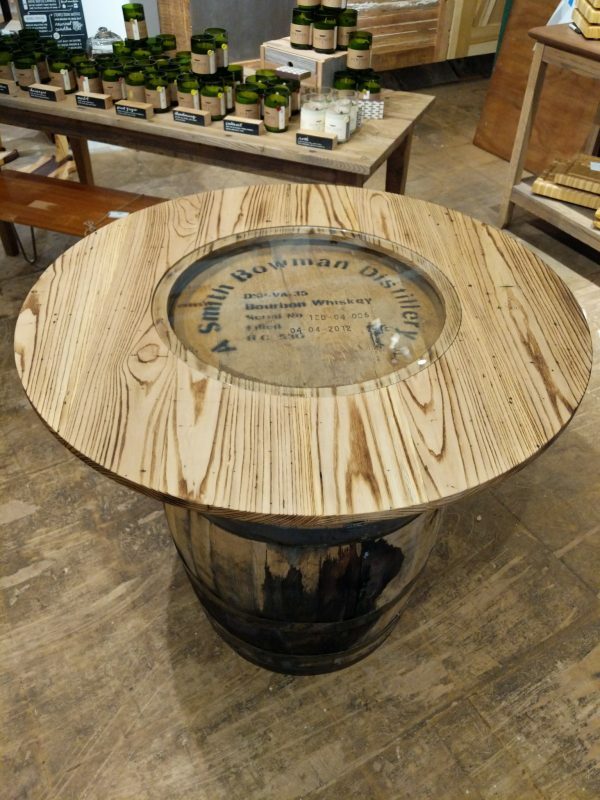 Our 42″ diameter barrel bar tops are excellent to accompany your favorite vineyard or distillery barrel. The 22″ piece of glass is inlay into the wood frame to allow you to see your cooper or distillery. Woods available: ash, red oak and reclaimed cargo decking. (Wood shown is ash) Finishes used is a soy based oil natural finish. Call to order yours today or come by the store. If you are local to Fredericksburg, go pick up your barrel at A Smith Bowman.